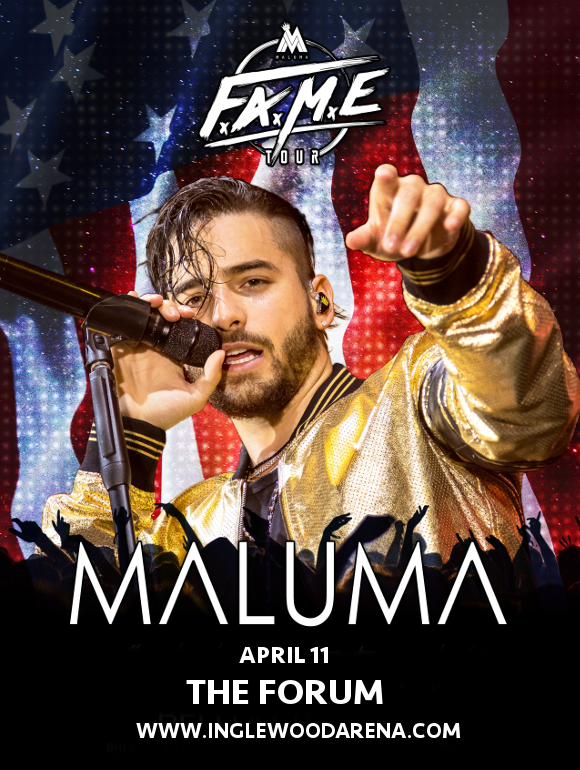 Big news, Maluma fans!! The Columbian star has announced a new album “F.A.M.E,” and he’s taking it on a HUGE tour across North America – coming to The Forum on Wednesday 11th April 2018!! Get ready for a night of reggaeton you won’t forget in a hurry – tickets are in high demand and selling quick, so don’t delay in getting yours! We can hardly wait – can you?? No?? Then hurry and grab those tickets!